Team Dark Joins The Race! Rouge & Omega Confirmed for TSR! Famitsu have revealed new details regarding Sumo Digital’s upcoming Sonic racing title. Posted to their website, a very low quality teaser image of an upcoming article about the game clearly shows both Rouge and Omega as playable characters. 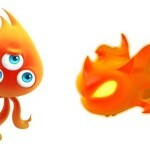 Also confirmed are three wisp types, Cube, Bomb and Eagle. The image also appears to show a few new ingame screenshots, but good luck getting any detail from this quality of the preview. The issue is due for release later this month, we’ll bring you more details as they come in. 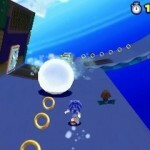 In an interview with Famitsu, the head of Sonic Team Takashi Iizuka has confirmed that sonic team are developing a new Sonic game. 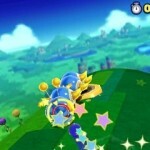 Famitsu: Finally, our last question – please tell us about Sonic’s future. Iizuka: We at Sonic Team – are developing a completely new game, as well as developing a full movie, actively done by Sony Pictures, and animation on Sonic Boom. We are also ready to improve sponsor ties. The most important thing is not the fact the series survived for 25 years, but how many games was developed. Our goal – add something new and overcome any potential hardships. Are you as shocked as we are? 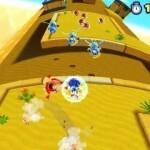 That a new Sonic game is in development! Well… yeah cynical response aside, what’s interesting is the use of words here, specifically ‘completely new game’ suggesting it’s not a direct sequel or might actually be something new that we’ve not seen before. 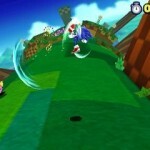 Via Japanese magazine Famitsu, we have lots of new screenshots of the Nintendo 3DS version of Sonic Lost World. In this latest batch we see the Red Burst Wisp returns and we also are introduced to two new Wisp powers Grey Quake and Ivory Lightning. 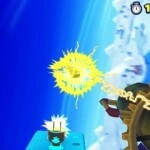 The Grey Quake Wisp sees Sonic transform into an iron ball which you move around with the gyro sensor of the 3DS. According to a rough Google translation, you can infinitely climb walls in this state and dive off of them to destroy enemies with the shock on landing, thus the name Grey Quake. 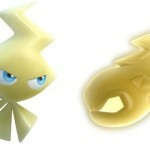 The Ivory Lightning Wisp gives Sonic the power to quickly ram enemies and obstacles in succession. 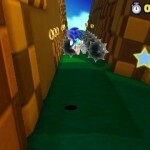 A rough Google translation says Sonic will also be able to pass through wires in this state. 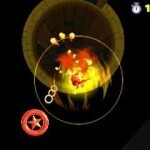 The Red Burst Wisp gives Sonic the same powers as in Sonic Colours for Nintendo DS. 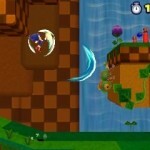 In this form, Sonic can fly/hop around in the air and charge blasts of energy to destroy surrounding enemies. Check out all of the new screenshots below in our gallery. Recognized by many as one-shot characters, Bark and Bean made their first and only appearance in the series within the 1996 beat-em-up Sonic the Fighters. 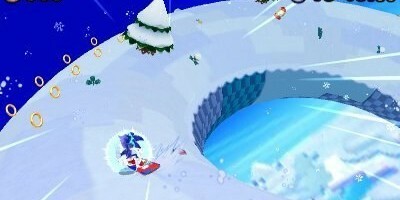 Following that, the two were never to be seen, heard from, or playable again in a future Sonic title. 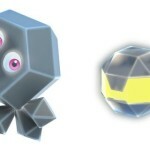 What many fans do not know, however, is that the duo made one more playable appearance following Sonic the Fighters! Bark and Bean have both returned to the ring once again in Fighters Megamix, a Virtua Fighters and Fighting Vipers crossover on the SEGA Saturn, with the two being unlockable characters! With the game’s release back in late ’96, a Famitsu guidebook for the fighting game hit the shelves in Japan. 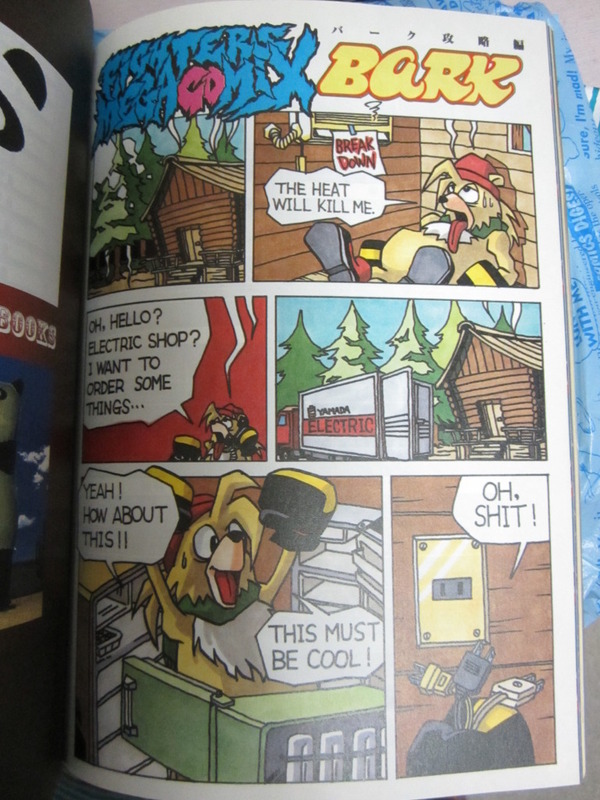 Interestingly, the Fighters Megamix guide featured more than just character profiles for the cast; they’ve each had a short comic as well! And yes, that includes Bark and Bean! Bean’s comic is found after the jump! 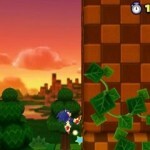 Famitsu released a new nine minute trailer of Sonic and the Secret Rings on their website. This trailer is an extended version of one that IGN released a week ago. 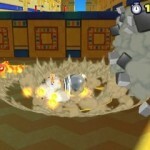 But this goes in further, much further, revealing new levels, multiplayer, and even characters. 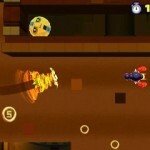 Within the trailer, they include an in-depth look at multiplayer. 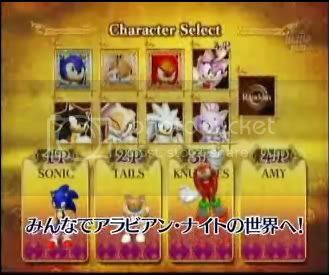 Working similarly to Sonic Shuffle, up to four players choose one of eight possible characters. They then choose a game board play in a series of minigames. The player that wins the minigame gets a chance to open a treasure chest. Treasure chest either contain a Sonic Token or a booby trap. 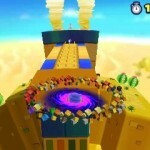 If you get a Sonic Token, you get to choose another Treasure Chest, but if you get a booby trap, your chance to open treasure chest is up and all players play another minigame. Player with the most Sonic Tokens at the end wins. 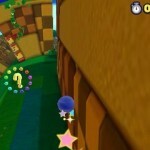 Along with their look at multiplayer, though, we also see new footage of some new levels, displaying how the games mechanics and level design is presented in the title. We here at Sonic Stadium will keep you up with the game news, and watch progress on the trailer on the discussion forum on the Sonic Stadium Message board. The latest Famitsu magazine has hit store shelves in Japan, and the four editors have rated Sonic the Hedgehog on XBOX 360 and PlayStation 3 rather healthily. 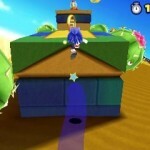 Sonic’s latest adventure was rated on both next generation platforms and received overall scores of 30/40 and 29/40 respectively. A bit of a surprising score considering the general panning the game has had from other outlets, stranger still rating the 360 version higher than the PS3 offering. 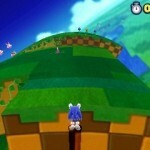 Sonic Team surprises with announcement for a new racing game. 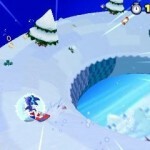 Sonic Riders is on the way for this Winter, for Japanese gamers. 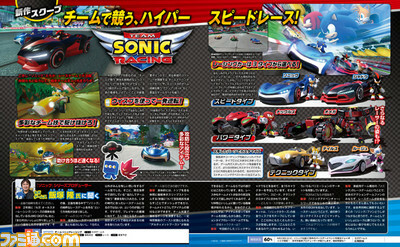 The latest issue of Famitsu magazine reveals the whole deal for Sonic Riders. Sonic, Knuckles, Tails and three new bird friends called by the names of Storm the Albatross, Jet the Hawk and Wave the Sparrow. If there’s anyone in the industry who has an eye for new gadgets and consoles like some sort of deranged magpie, it’s Yuji Naka, head of Sonic Team. 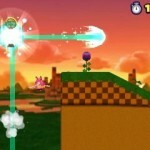 The last few years has had his team shift Sonic and Puyo Pop onto almost every console imaginable, and certainly every new one. 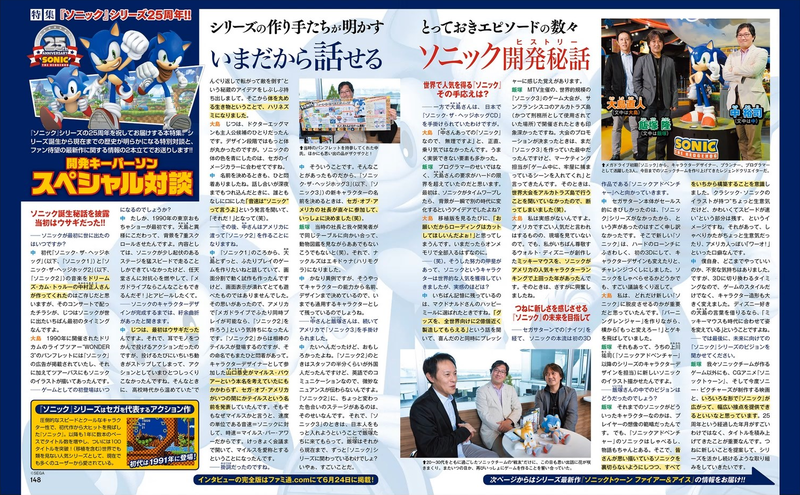 He’s also one to be quite close to Nintendo, being tea chums with Miyamoto-san. 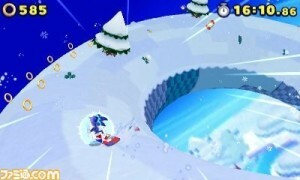 The three stages shown…include “Leaf Forest” (the game’s first stage), “Hot Crater” (the fire stage starring Knuckles) and a third, unnamed stage featuring a musical design and an over-abundance of color (look for Tails floating through a pink wonderland.) 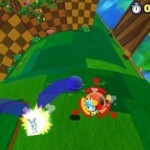 No features were announced in the magazine’s article (no word on if there’s a link-up with the upcoming Gamecube Sonic game), but we do know that the game’s speed has been upped from the previous game (possibly a very good thing, since Sonic’s trademark speed was left at a cruising third gear for the last handheld adventure). 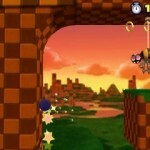 Specifics on the developer were not given, but it looks like DIMPS has once again handled the design for Sonic Team on this one.